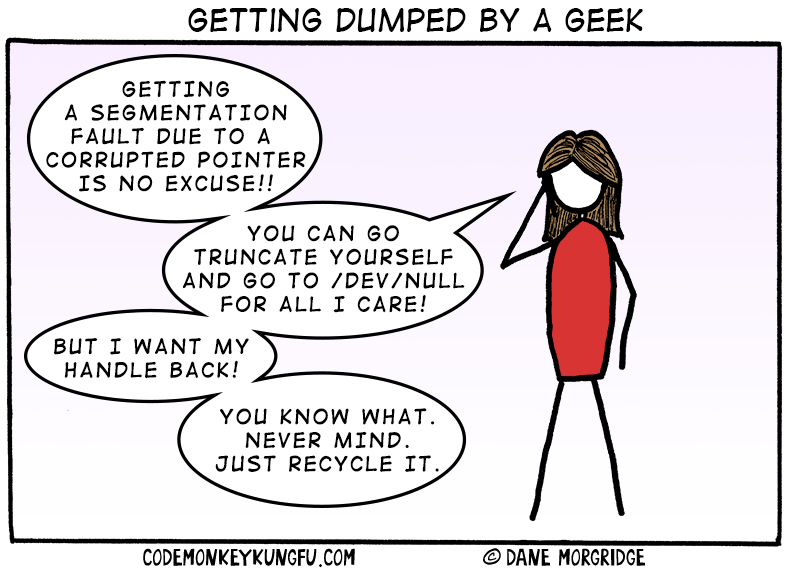 Getting a segmentation fault due to a corrupted pointer is no excuse!! you can go truncate yourself and go to /dev/null for all i care! But I want my handle back! you know what. Never mind. Just recycle it.